ClassEcon Roofing Africa is committed to making quality roofing more affordable for consumers. They have a full range of roofing profiles to suit all types of applications. ClassEcon offer quality steel products from South African sources to the rapidly expanding construction industry in Zambia. 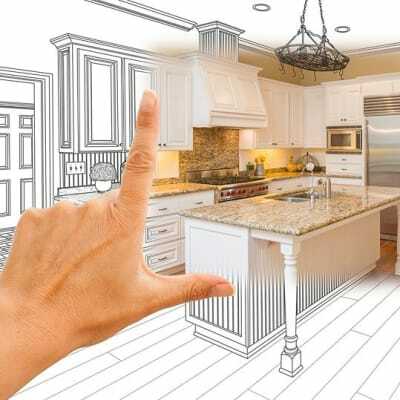 They are happy to deal with large or small projects. The wide selection of roofing profiles are available in various thicknesses, ranging from 0.25mm to 0.80mm, both in galvanised and pre-painted steel. This company is a major producer and supplier of maize and soya based consumer food products. 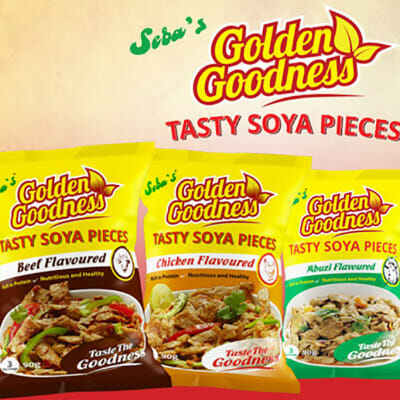 Seba Foods prides themselves in providing a wide variety of high quality products through well-known brands that include Golden Goodness, Seba's Instant Thobwa, Seba's High Energy Protein Supplement and Emilios. The company is committed to producing high quality food products from the finest quality soya beans and maize sourced from local farmers. Set in a warm and friendly environment this is an ideal setting to unwind with friends and family. 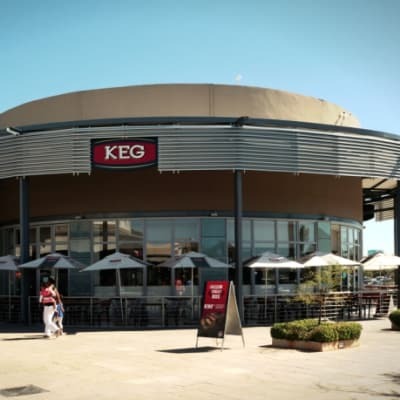 Keg and Lion is an upmarket restaurant and pub that serves a wide range of dishes, alcohol, soft drinks and fresh juices. Guests can watch all popular international live sports on large screens. Have your meetings over delicious hot beverages and access high speed internet or simply relax and enjoy live music and entertainment from popular bands. There is an option for indoor or outdoor seating. The Pam Golding Properties group offers a comprehensive range of property services including residential and commercial sales, acquisitions and rentals, development sales as well as property management. 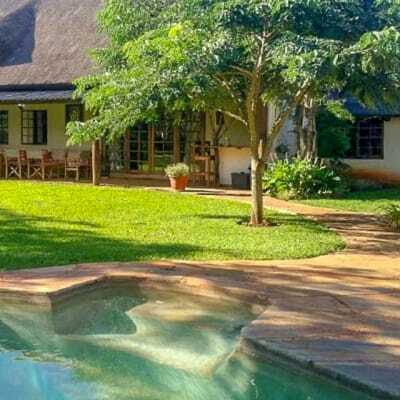 Recognised locally and internationally, Pam Golding Properties boasts an array of properties across Southern Africa as well as several international destinations. Their team of experienced realtors is committed to make your property buying, selling or renting experience as easy as possible. 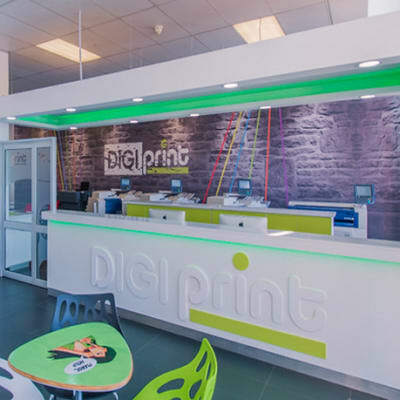 Digiprint Zambia is a dynamic and innovative digital printing company in Zambia. The company is dedicated to providing personal and corporate printing solutions using state-of-the-art Xerox equipment run by a well-qualified and passionate team. Digiprint is the unique answer for all digital print demands from image quality to productivity and finishing. This company prides itself on its uncompromising dedication to customers, their needs and product! It has outlets at two shopping malls in Lusaka - Arcades and Levy Junction. Khulu Associates provide quality management consultancy services and training in healthcare related topics, specifically HIV/AIDS. 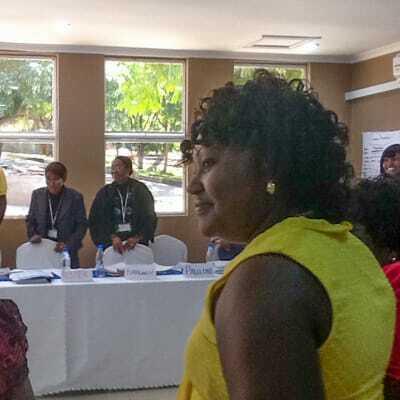 Khulu Associates has worked with various funding agencies in the field of training for HIV/AIDS including PMTCT, ART for health providers and for lay providers. 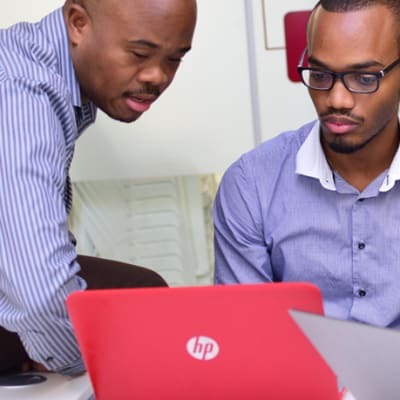 With a wealth of experience found in its team of professionals, Khulu is able to create programmes that address specific needs and gaps identified in this sector. Rainlands Timber supplies value added timber products including MiTek roof trusses, internal finishings, palettes, beehives and furniture. 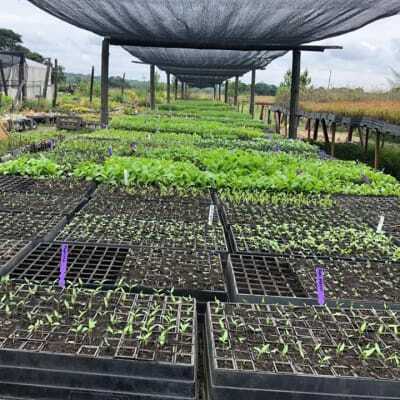 Its nursery offers a wide variety of garden plants, vegetable seedlings and tree seedlings, as well as landscaping services and water feature installation. Rainlands is an environmentally proactive company engaged in forestry outreach programmes, training in sustainable farming practices, alternatives to charcoal and water/effluent purification. 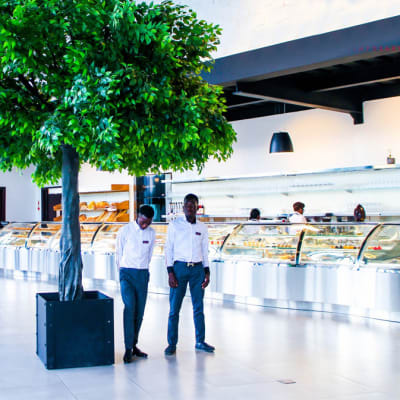 Opened in February 2018, The Corner Café is a contemporary restaurant offering international cuisine, high quality bakery and pastry products and ice-cream, as well as a variety of hot and cold non-alcoholic beverages. This café can also host corporate meetings, weddings, birthdays, exhibitions and more. From time to time The Corner Café invites bands to provide live music. Their team is committed to providing the best possible services to its clients. 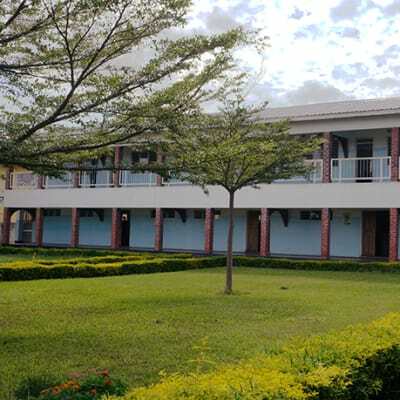 This agency was established in 1995 by the government through an Act of Parliament (Cap 225 of the laws of Zambia), which helped to create a market-oriented economic system in Zambia. Specifically this led to the liberalisation of the marketing and storage of agricultural produce, with the government reducing its participation. However the government’s involvement in the agricultural sector still includes the maintenance of food security reserves, run by the Food Reserve Agency. It also provides market support, and the provision of relevant market information and agricultural credit facilities to small-scale farmers. 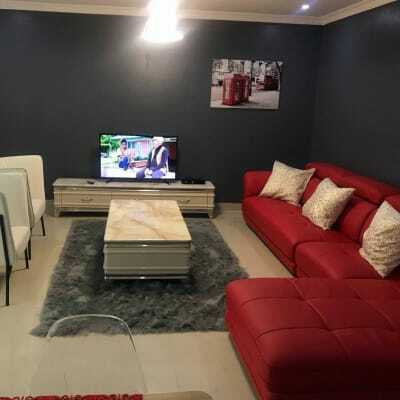 If you feel like escaping to a tranquil location, the Haven Luxury Apartments offers you elegant fully furnished one and two bedroom apartments for short or long stays. All units are serviced and equipped with air conditioning units, free Wi-Fi (up to 15 GB), 24 hr security and satellite TV. There is also a conservatory area with a Jacuzzi and a gas braai stand, at no extra cost. The Haven Luxury Apartments are conveniently close to shops and amenities in the popular Kabulonga neighbourhood. 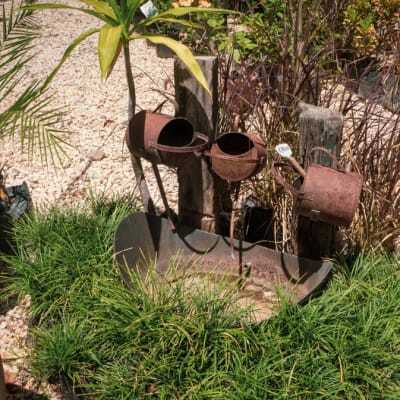 D&V Garden Accessories and Landscaping is a major supplier of a wide variety of plants, trees and quirky vintage accessories. The company also offers professional landscaping and maintenance services. From concept and design to final implementation, D&V pride themselves on their exceptionally high standard of service and product quality. Their team undertakes its gardening service only after carrying out a proper inspection of your site in order to fully understand your requirements as well as the existing environment. Established in November 2010, Yashika Fashion Boutique stocks a wide selection of high quality clothing and footwear for men and women as well as children. This boutique also offers professional tailoring services. Yashika caters for a wide range of fashion needs. Their product lines include casual clothing, work attire and special occasion-wear. Visit Yashika to catch up on the newest fashion trends. And if you want a stylist's help finding that perfect outfit, their team is always ready to assist. 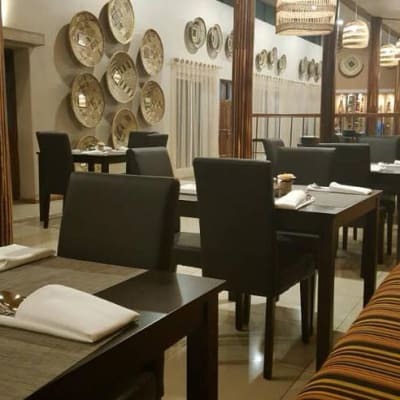 Visit this multi-cuisine restaurant that prepares specialty dishes from north and south India as well as Indo-Chinese and Zambia. Their bar serves a wide selection of beverages and is a perfect setting for a great afternoon or evening with friends. With its unique ambience, Malabar Village sets a very high standard in terms of both food and service. Their chefs have immense experience and are happy to prepare specific dishes according to your taste. If you are looking to host a private event, Malabar Village offers unique settings for any occasion. 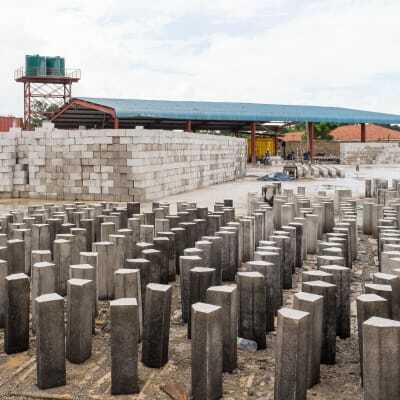 Based in Lusaka, Mazabuka and Monze, Acil Investments manufactures high quality blocks, bricks, pavers and kerbstones, as well as Santex paints. Their range of products caters for all kinds of building development, including townhouse complexes and shopping centres. Acil also offers a large fleet of earthmoving and construction equipment for hire. It regularly services all of its machinery and equipment to ensure superior performance. This is a public-private partnership between the U.S. Department of State Bureau of Economic and Business Affairs, and business acceleration programme, StartUp Cup. 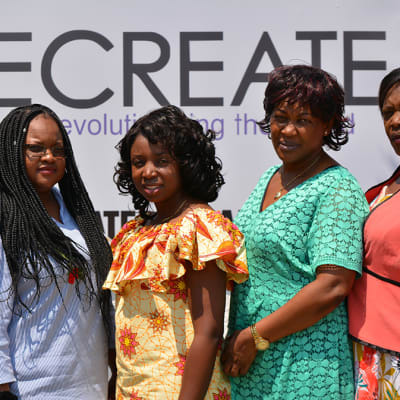 WeCreate Zambia offers a wide selection of entrepreneurial programmes that are designed to accelerate women owned/led businesses to the next level. WeCreate provides mentoring, business connections, specialised training, connections to the community, media attention, and access to markets and capital, along with the technical tools and resources necessary for business growth. When it comes to property, Shayna Deyne provides an all-inclusive service from doing your conveyancing to designing, building or renovating and decorating. Whether residential, hospitality or commercial, your real estate will be in good hands, with the experienced team guiding you throughout the construction/design process to ensure they meet your specific requirements. Shayna Deyne's reputation for uncompromising professionalism in everything it does has been achieved by satisfying its clients and earning their confidence. 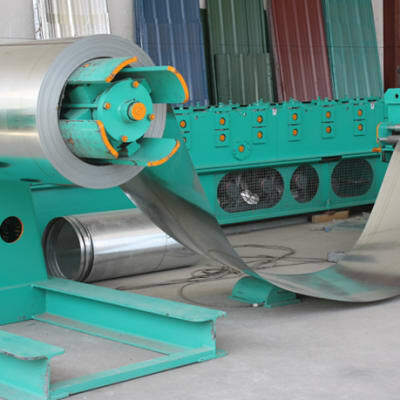 Consisting of two leading South African roofing brands - Brownbuilt Metal Sections and HH Robertson, Global Roofing Solutions is one of the largest metal roofing and accessories suppliers in Zambia. 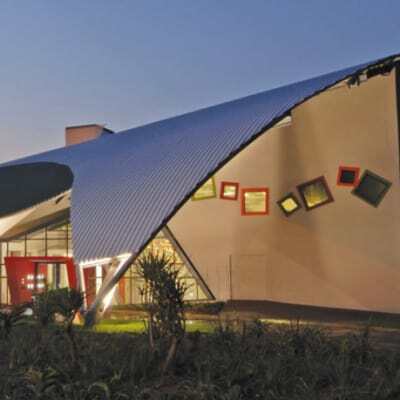 With a state of the art workshop based in South Africa, this company manufactures commercial and industrial steel roof covering and wall cladding profiles (concealed fix and pierced fix), composite steel floor decking profiles and lightweight coated metal roof tiles (Zip-tek, UNI-TILE™ and IBR). 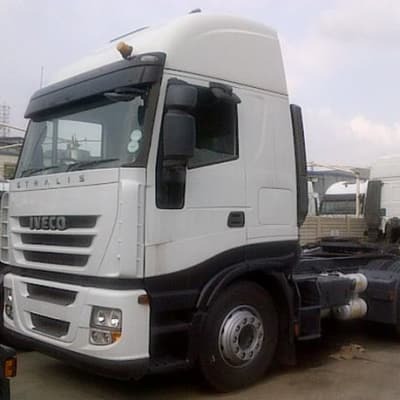 Authorised dealers of IVECO, a CNH industrial brand of light and heavy duty commercial vehicles, city and intercity buses, fire fighting vehicles, ambulances, defence vehicles, as well as off road vehicles for mining and construction. With a fully equipped workshop, Ambient Automotive Services and Parts provides professional maintenance services for its range of vehicles. The company also offers a full range of spare parts. 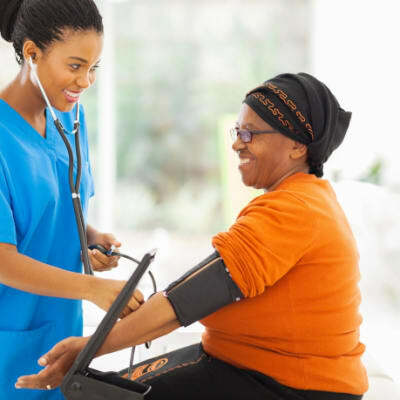 Registered with the Ministry of Labour and the General Nursing Council of Zambia, Nonkhululeko Nursing and Midwifery Agency (NNMA) provides support to families that would like their patient to be cared for in the comfort of their home. Services offered include but not limited to midwifery, nursing and home based care. The agency ensures that all practitioners are fully registered and licensed to practice nursing and midwifery care in Zambia. They are well trained and work under the direct supervision of the qualified health professionals. Party Center specialises in the supply and rental of Tiffany chairs, as well as decor items such as cake boxes, centerpieces and more. 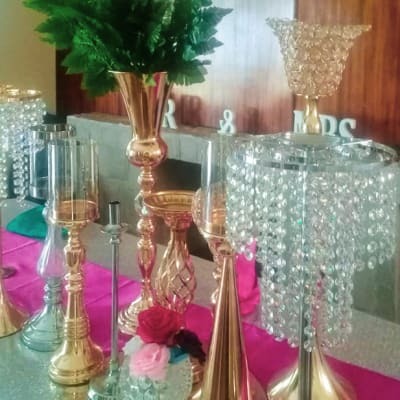 The company’s mission is to make its client’s selection and purchase of party supplies for any event, a convenient, organised, worry-free and time saving experience, by offering a quality and courteous service to all its customers. Their experienced and creative staff will guide you through your event from the smallest of details to the largest of tasks. 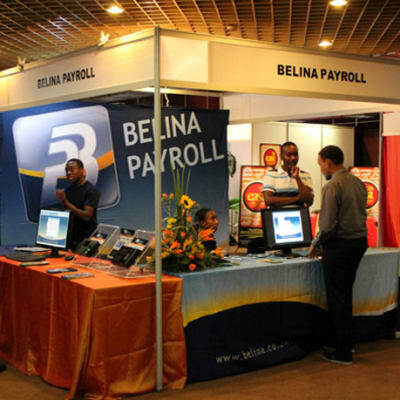 Since 1993, Belina Payroll has been delivering innovation, fresh ideas and user-friendly technology for payroll and workforce-management environments. The company provides affordable software that increases efficiency and reduces overall costs for clients. From small businesses to large corporates, it has a core offering that can be customised to meet your business's current requirements and to help it grow it. Belina has over 1, 800 clients operating in the Southern African region. Mac Recruitment is an experienced training, recruitment and consultancy company with offices in Lusaka, Zambia. It operates with an aim of providing 'working solutions' for clients and offering comprehensive human capital. 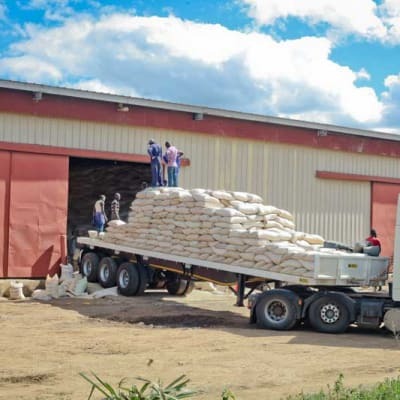 This company is the sole licensed distributor for Franklin Covey's full range of products in Zambia, offering a number of performance improvement services. Mac Recruitment also offers other training programs such as productivity and leadership training. 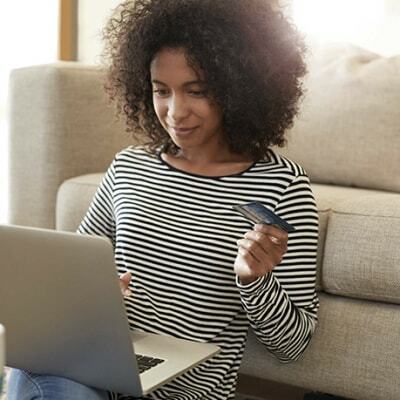 Established in 2016, Online Express has been helping people, through a partnership with iShop Worldwide, to shop at leading and well renowned retailers in the UK, USA and South Africa. The company is committed to improving and developing their service, making it easier and a more pleasurable experience for you to shop overseas. Once a parcel is in the country and has undergone customs clearance, this company is able to deliver to your doorstep.